This is certainly an executive chef coat with a traditional fit and a sharp style. 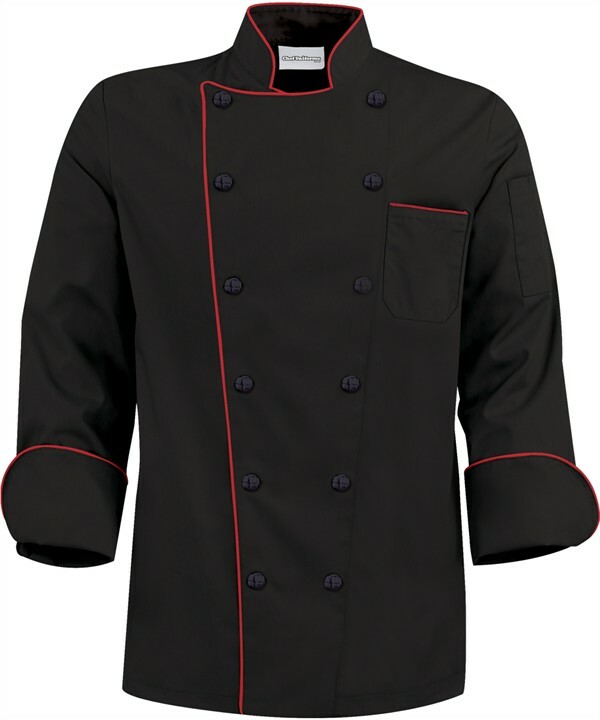 Our black traditional chef coat features contrast piping along neckline, chest, pocket and cuffs. Note all the attention to detail and quality that went into this classic chef coat. Get the best of both worlds with the professional tailored cut yet extra room built into the arms for ease of movement. The quality made knotted cloth buttons will not sag or lose form over time. Store your kitchen essentials in the chest pocket and thermometer pocket on sleeve. Feel the softness of our 100% Cotton fine line twill premium fabric.